The thorax is the anatomical structure formed by the thoracic vertebra, ribs, the sternum and all associated muscles, ligaments and joints. 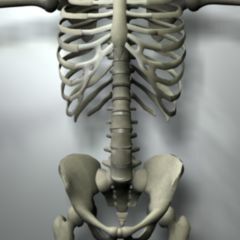 The part of the thorax that is made up of hard tissue (bone) can be called the "bony thorax" or thoracic cage. 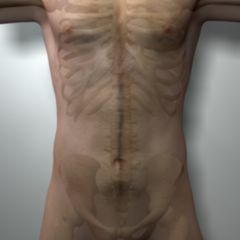 The thorax forms the basis of the human chest (Latin: pectus) and a large part of the back (dorsum). 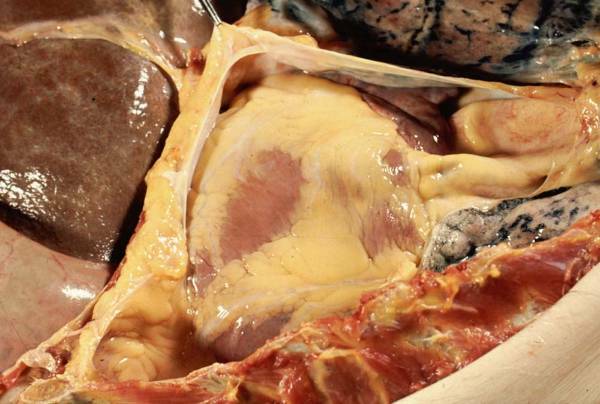 It primarily consists of bones that protect the thoracic cavity (cavitas thoracica, cavum thoracis) and the organs contained in it from injuries. 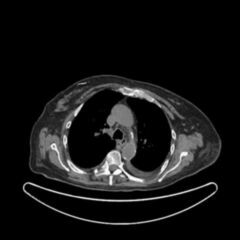 The thoracic cavity is a hollow space that is sagittally divided into two halves by the mediastinum. The thorax is one of the most important body parts in medicine because it contains the central cardiovascular organs, the heart and the lungs. Medical specialties that focus on this area are cardiology and pulmonology (respiratory medicine).